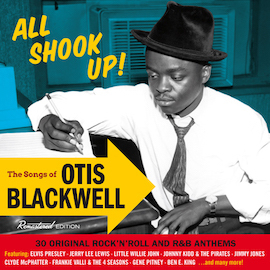 Hall of fame songwriter Otis Blackwell wrote both songs. After the great success of “Don’t Be Cruel,” Blackwell, then an in-house writer for Shalimar publishing, was asked to write more songs for Presley, a plumb assignment for songwriters in 1956. He came up with “Paralyzed” and “All Shook Up.” The former became a cut in Presley’s second RCA album, while the latter became a blockbuster hit on the singles charts and a cultural phenomenon. In an interview in Time Barrier Express Magazine in 1979, Blackwell explained that Shalimar’s Al Stanton suggested the song’s title. Elvis recorded “All Shook Up” at Radio Recorders in Hollywood on January 12, 1957. In a 1991 interview, Otis Blackwell said that on this song, as on “Don’t Be Cruel,” Presley copied Blackwell’s vocal style on the demo. 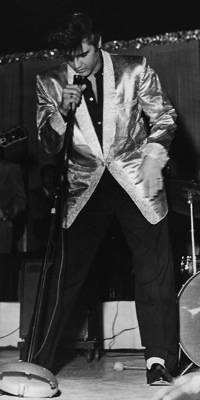 It’s hard to judge the validity of his claim without hearing Blackwell’s demo, but Elvis was known often through his career to closely adhere in his recordings to the singer’s delivery on demos. “While I was doing ‘All Shook Up’ with Presley, I was just facing him on another mike, you see, and all the time I’m doing it, I had this little ‘Yea, yea, I’m all shook up.’ I had these little harmony parts I had to do with him. “Of course, now, the recordings these days, you overdub it. Like Presley would have put his voice on first, and I would have put my harmony part on second. But in those days … we did it all at the same time. 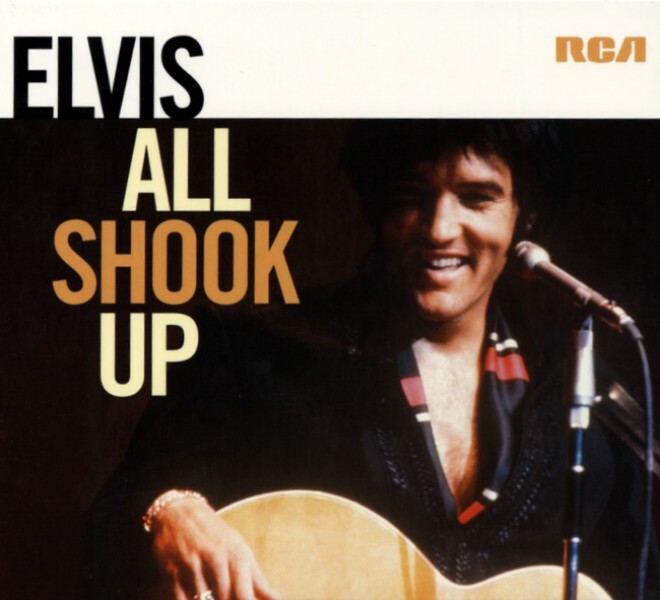 “All Shook Up” entered the Billboard chart at #26 on April 6. 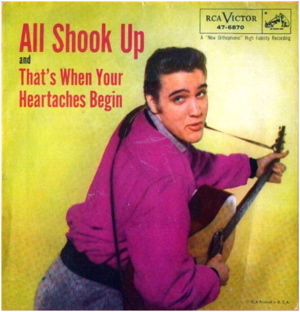 The very next week it jumped all the way up to #6, and in its third week, on April 20, it took over the #1 spot from Andy Williams’s “Butterfly.” For eight weeks “All Shook Up” sat atop the chart, the longest run at #1 for any Presley single before or after. On April 27, 1957, a month after “All Shook Up” had been released, Billboard acknowledged the record’s across-the-board appeal on the journal’s many music charts. On June 10, Pat Boone’s “Love Letters in the Sand” finally dethroned “All Shook Up,” which still remained in the top 10 for four more weeks. 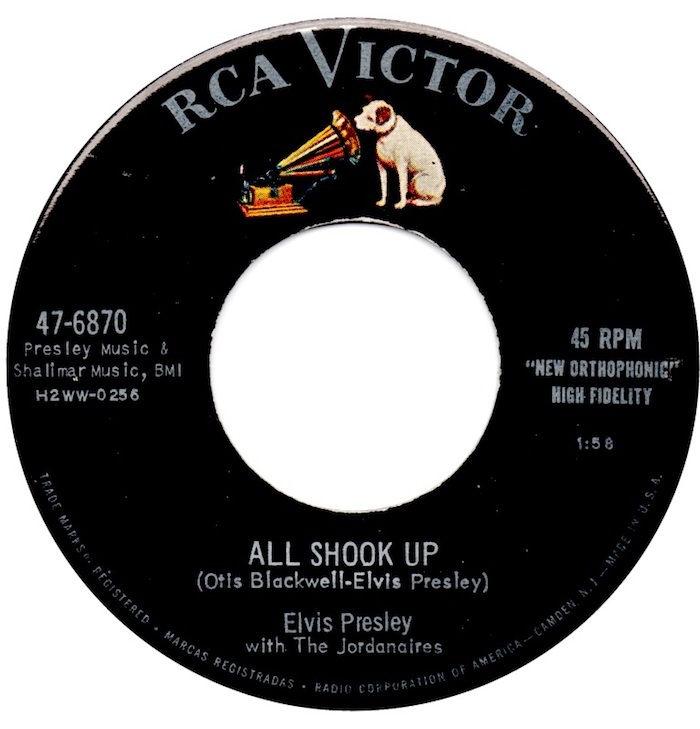 By the time it finally fell off the Top 100 on October 21, 1957, “All Shook Up” had spent 30 weeks on the chart, another record for a Presley single. In addition to the eight weeks at #1, it spent a total of 15 weeks in the top 10. In its rankings, Billboard's Top 100 pop chart incorporated data on sales, radio play, and jukebox action. Cashbox's chart rated records strictly by retail sales. 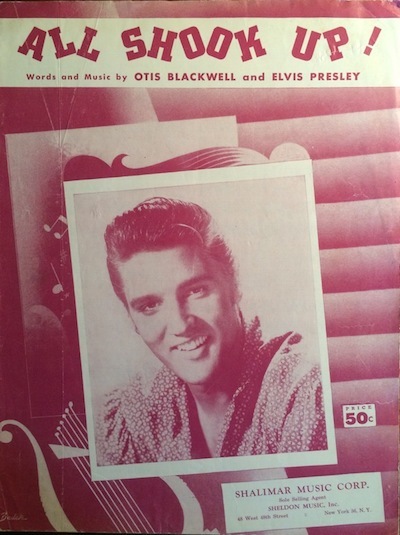 "All Shook Up" dominated that chart as well in the spring and summer of 1957. It entered "The Cashbox Best Selling Singles" list at #13 on April 6 and the following week jumped to the #1 spot, replacing Buddy Knox's "Party Doll." It remained the country's top selling single for 8 weeks. It stayed on the sales chart until August, falling off only when record buyers turned their attention to Elvis's next single, "Teddy Bear." Elvis first sang “All Shook Up” on stage in Chicago’s International Amphitheatre on March 28, 1957. 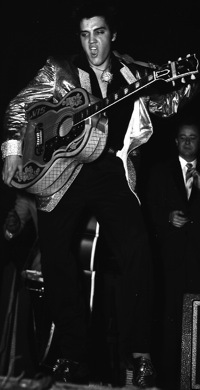 It was on the playlist throughout Presley’s spring tour that took him on to St. Louis, Fort Wayne, Detroit, Buffalo, Toronto, Ottawa, and Philadelphia. At every stop, “All Shook Up” put an end to reports that Presley’s ability to sell records had run its course. In both Toronto and Ottawa, the record quickly rose to the top of the charts. Half-page ads placed by RCA in city newspapers advertised the new record at 89¢ for a 45 r.p.m. single and 98¢ for the 78 r.p.m. format version. "Elvis Presley walked off with another Triple Crown Award this week, with his new disk, ‘All Shook Up,’ No. 1 in all three pop chart categories—retail, jockey and juke. The platter also took the No. 1 slot on the ‘Top 100’ list."